A Santa Clarita Valley Sheriff's Station deputy on patrol in Canyon Country. Courtesy photo the SCV Sheriff's Station. In response to a spike in the number of recent traffic collisions involving pedestrians and cyclists, local sheriff’s deputies plan to carry out a safety crackdown Monday. 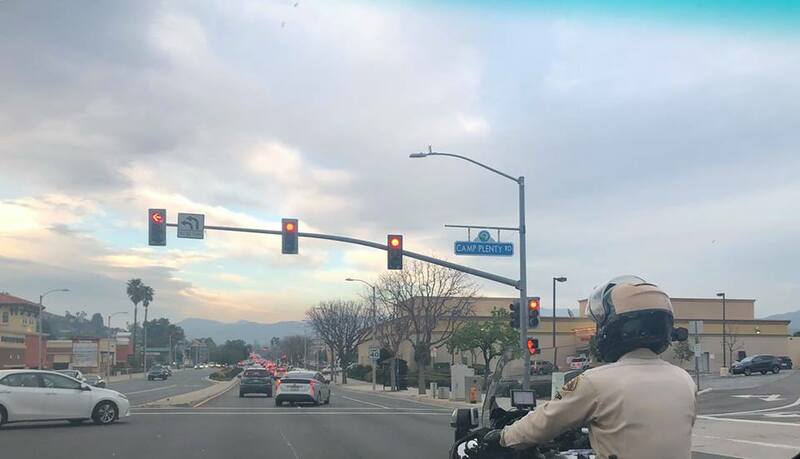 Between 5 a.m. and 3 p.m. in the city of Santa Clarita, deputies with the Santa Clarita Valley Sheriff’s Station are expected to look for violations made by bicyclists, drivers and pedestrians that put roadway users at risk. The violations they’ll be looking for inzclude: drivers speeding, making illegal turns, failing to yield to pedestrians in crosswalks, failing to stop for signs and signals or any other dangerous violation. 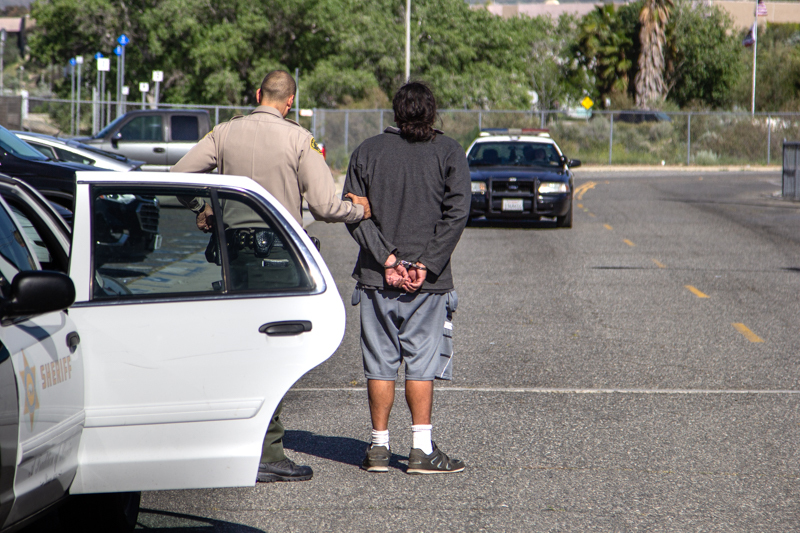 In announcing the crackdown this week, SCV Sheriff’s Station officials cited a number of statistics. Bicycle and pedestrian fatalities, they said in a news release, are rising at an alarming rate. In 2016, 138 bicyclists and 867 pedestrians were killed on California roads. Pedestrian fatalities are up nearly 33 percent from 2012, and the number of bicyclists killed are up nearly 25 percent over the past five years, they said. In 2018, the Los Angeles County Sheriff’s Department investigated 1,052 fatal and injury collisions involving bicyclists and pedestrians in the cities policed by the Sheriff’s Department. Local statistics involving pedestrians and cyclists hurt and killed in traffic collisions have also drawn the attention of civic leaders. 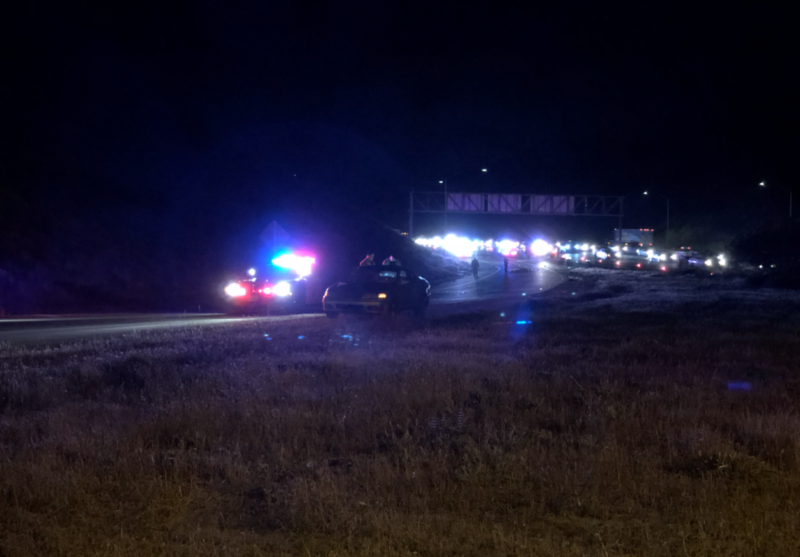 “Whether you are on foot, behind the wheel or on a bike, you play a part in roadway safety,” Sgt. Robert Hill was quoted as saying in the news release. “Understanding the rules of the road using all modes of transportation helps ensure we all get to our destination safely,” he said. People on foot should also look for cars backing up and avoid darting between parked cars. Make eye contact with drivers and wear bright clothing during the day and reflective materials or use a flashlight at night. All bike riders are reminded to always wear a helmet; helmets are required by law for those under 18. Bike riders should always go with the flow of traffic, let faster traffic pass and use hand signals when turning or stopping.